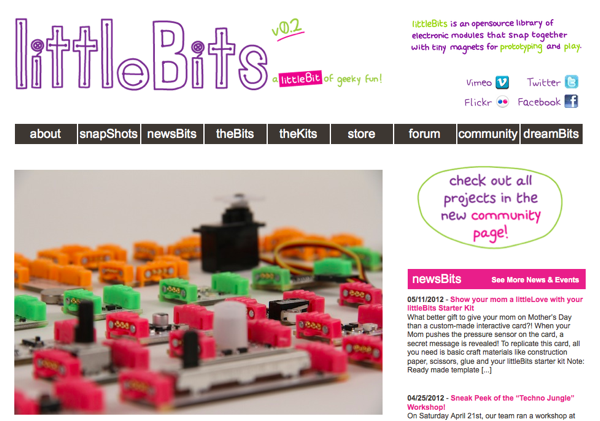 littleBits is looking for a Community Manager / Adafruit Jobs Board « Adafruit Industries – Makers, hackers, artists, designers and engineers! littleBits is looking for a super talented and energetic Community Manager to join the team. You have to have a lot of energy, wit and social skills and understand the littleBits mission and brand very well. You also have to be a geek at heart, and have lots of geekiness to show for yourself. Tasks include managing the online community including forums, community platform, all things social media, newsletter and dreamBits. Tasks also include answering email, customer support, blogging and edits to the website.